From top ten tips to deep dives, get all the info you need to survive on the battlefield. 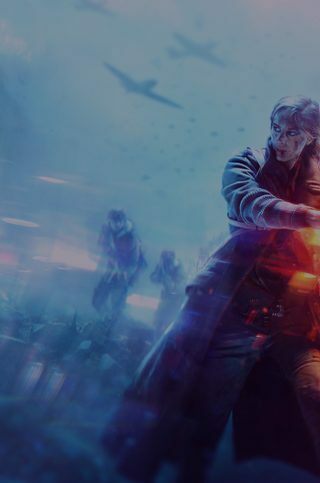 Ready to join the ranks in Battlefield™ V? We’d like to introduce you to the Battlefield V Boot Camp, a great place to learn everything from combat and Class basics to the importance of Bullet Penetration and the Attrition system. We listened to you, the players, to create the Battlefield V Boot Camp and make sure it’s got the answers you need. Visit the Boot Camp page for a huge list of videos from some of the best-known Battlefield players, walking you through everything from the basics of healing and gaining ammo to advanced details on specific weapons and how to use them effectively. Each video includes a short article that summarizes the main points if you need an answer in a hurry. Stick with your squad and follow your squad leader. Watch their backs, and they’ll watch yours. Always play the objective — work as a squad to push on the capture point. The more effectively you work as a squad, the more Requisition Points you’ll earn, and the faster you can call in game-changing Reinforcements like the devastating V-1 Rocket. You’ll respawn quicker on a squad mate, so if you're the last surviving member of your squad, play conservatively and give your buddies a chance to get back in the game. If you're playing the Support Class, start passing out Ammo Pouches the second you spawn. If you're playing the Medic Class, start sharing Medical Pouches the second you spawn. If you're playing the Recon Class, be sure to spot enemies for your squad. If you're playing the Assault Class, lead the charge, but don't be afraid to retreat when you're low on health or ammo. Remember, in Battlefield V you can always revive your squad mates regardless of your Class. The best players learn how to play every Class to fill in the gaps on their squad. If you're feeling a little overwhelmed by multiplayer, spend some time in single-player War Stories to sharpen your skills. 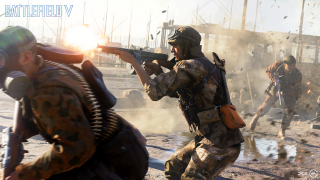 Whether you’re a raw recruit or a seasoned veteran, you’ll find the information you need to succeed in our Battlefield V Boot Camp. Sign up today to receive the latest Battlefield V news, updates, behind-the-scenes content, exclusive offers, and more (including other EA news, products, events, and promotions) by email.